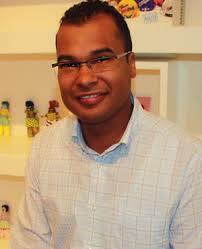 New Cape Town Tourism CEO Enver Duminy accommodates his members, listening and learning! On his 46th day in the hot seat as CEO of Cape Town Tourism, Enver Duminy was generous with his time yesterday, and we covered a lot of ground, each interviewing the other! I was impressed with his ability to listen, really wanting to know my views on tourism and Cape Town Tourism, even though many of them have been documented on this blog. Enver and his predecessor Mariette du Toit-Helmbold could not be more different. Enver is very much quieter, more reserved, gentle, interested in others and their views, is not opinionated in presuming to know all the answers, is friendly, is diplomatic, is not focused on himself but on his job to attract more tourists to Cape Town, and surprised me when he gave me a hug on leaving instead of shaking my hand! He didn’t want the interview to be about him alone, and he took the opportunity to ask about me as well, and I realised that he knew little about me (he did know that I enjoyed MasterChef SA, and has read this blog, being intrigued about how I see things so differently!). Enver grew up in Mitchell’s Plain, studied Computer Sciences and Mathematical Statistics, and his first job took him to IBM in Johannesburg. He returned to Cape Town, working at ESKOM, running a computer training company with friends, working at Nedbank in their ATM, software and home loans departments, and at Integer, a home loans company. All along his career he has done management courses, believing in ‘educating yourself’, but with a focus on ‘how to apply the knowledge‘, as ‘anything is possible‘, he says. He is currently doing a MBA via the Management College of South Africa, and he says that his friends call him ‘Dr Duminy’! In 2009 he took a break with some friends, following Team South Africa (i.e. Bafana Bafana) around the country on all its Confederations Cup matches. He loved being a tourist in his own country, going to the townships and meeting new people on the trip, even featuring on the front page of a Johannesburg newspaper. This gave him a first taste of tourism, and he realised that the industry could offer him something completely different to the IT world he had worked in before that. When he was headhunted as Executive Manager of Tourism Services, he grabbed the job at Cape Town Tourism four years ago. He laughed when he shared that he thought that he had come to have a break in working in tourism, not realising how hard he would work and how busy it would be, but he enjoys that he can make a difference. Enver was responsible for IT, Visitor Information Centres, and Membership since he started at Cape Town Tourism, seeing new challenges in his job over the past four years. He reduced the number of visitor information centres from fourteen to nine, focused on integrating the IT systems, and training staff at three accredited centres at Table Mountain, the V&A Waterfront, and Canal Walk. They have created mobile visitor information centres, going to events, having become so successful that it is their third largest visitor contact medium. We spoke about Seasonality immediately, and Enver asked me how I define it. I told him that it is the quiet six month period that is in strong contrast to the frenetic six month summer period, starting after Easter, and carrying on until the end of September. It is particularly pronounced in June and July, the first half of August and the first half of September. August and September have become the Cape’s wettest months, and it seems almost impossible to counter the Cape’s reputation in this regard, and the steadily climbing petrol prices do not make it any easier for the tourism industry. Events scheduled in the winter months clearly are the solution, as Franschhoek Wine Valley tourism has shown, scheduling major events such as Bastille and the Franschhoek Literary Festival, and working on growing the clout of Franschhoek Uncorked, Cook in Franschhoek, and other events, one event per winter month being organised. Cape Town has nothing like this at all, the tourism authorities looking to the members to create events, while the tourism players expect Cape Town Tourism, Wesgro, and the City of Cape Town to generate the events in winter, meaning that nothing happens year after year! Cape Town Tourism ran weekend promotions to Cape Town, with packages for flights, accommodation, car rental and a mystery tourism experience being sold for one rate. Bookings increased by 5% between 2012 and 2013, Enver shared. We spoke about the importance of direct flights to Cape Town for our destination to flourish. Few Turkish tourists are visible, I commented, despite the ten-person City of Cape Town/Cape Town Tourism delegation to Turkey two years ago. Direct flights from/to America could be on the cards. Enver has already met with Sheryl Ozinsky, the CEO of Cape Town from whom Mrs Helmbold took over. We shared how much she was able to do in marketing Cape Town with so little funding. He has met with each staff member individually, and is focusing on stakeholders now. They are focusing on reconnecting with their members, called ‘Coffee and Connect’, a cross-section of Cape Town Tourism staff meeting with members to hear what members need. Relationship building is important to the members, both with Cape Town Tourism, and also with other members. They are running Social Media workshops for their members, and reward members who participate in their training sessions. The role that Cape Town Tourism plays in marketing Cape Town, and that by the now one year old City of Cape Town Tourism, Events and Marketing Directorate is unclear. Last year the City of Cape Town removed the role of Destination Marketing from Cape Town Tourism, and reduced its budget accordingly, saying that it would take over this role, but to date no marketing action is visible. 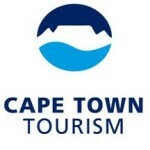 According to its Constitution, Cape Town Tourism has the responsibility for Visitor Services and Destination Marketing, and the latter role cannot be taken away by the City without the constitution being changed, Cape Town Tourism still having the responsibility for Destination Marketing towards its members. We spoke about Anton Groenewald, who heads up the City Directorate, and who is a role model for Enver, a goal-orientated person who knows what he wants and gets what he wants! We discussed Twitter, and what a huge opportunity had been lost with the previous Tweeter not finding all Tweets about Cape Town, and reTweeting them, to provide a volume of information to the Cape Town Tourism Twitter followers. We also chatted about ownership of Followers, and one senses that while Enver may have a personal opinion about this, he is far too diplomatic to have insisted that Mrs Helmbold and PR and Communications Manager Skye Grove hand their Followers over to Cape Town Tourism when they left at the end of July, having been built up during their employ at the tourism body, and having grown at the cost of the Cape Town Tourism’s Twitter account. I think that Enver was shocked to hear how Twitter had been politically abused by Ms Grove in anonymous accounts whilst employed at Cape Town Tourism, something Mrs Helmbold took a long time to control once we lodged a number of complaints. Enver is reducing the Social Media presence of Cape Town Tourism for the time being, using his reduced resources to take care of other responsibilities. We had noticed that Social Media had dominated Cape Town Tourism’s marketing activities in the last few years of Mrs Helmbold’s rule at Cape Town Tourism, and it was shocking to see how she abused it in the last month to market her own new business Destinate! We sense that Mrs Helmbold will have to learn to let Cape Town Tourism run on its own, and that the organisation no longer is under her control. Enver has given himself 100 days to listen and to learn from others, and will then tweak the strategy that already is in place. His goal is to increase the demand for Cape Town and its tourism products and services, especially in winter, and to become more financially sustainable in generating more of its funding. He is excited about the good co-operation that has developed between Wesgro, Cape Town Tourism, SA Tourism, and the Johannesburg and Durban city marketing bodies, meeting at quarterly intervals. The new SA Tourism Chief Marketing Officer Jan Hutton is keen to get to know the members of Cape Town Tourism, Enver said. Wesgro and Cape Town Tourism will once again share a stand at World Travel Market (WTM) in November. Enver has inherited a stable well-known brand, and his challenge is how to build on it. He will ‘define his voice’ over time, he said, keeping a low profile in terms of PR and Social Media in the meantime, until he has done his 100 days of listening and learning. He has a smaller team right now, not having replaced Ms Grove in the PR and Communications position nor himself in the Tourism Services portfolio, and his Marketing Manager Velma Corcoran is off on maternity leave, her baby having been born yesterday. I was delighted with his friendliness, his open door despite the tumultuous relationship with his predecessor, and his repeated emphasis on doing what is best for members of Cape Town Tourism! The final surprise was that he walked me to my car, and then waited for me at the boom, to make sure that I got out of the building safely, given that a new security company has just taken over the contract.